These days, group buying is the trend. When group buying, consumers can get all kinds of deals and find specials on food and activities they might never try. 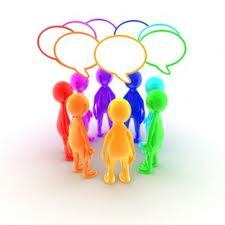 They are great for introducing you to small businesses in your area and can be tailored to fit your needs. Check out these sites and plan your next adventure. Of course this might be the most popular. This Chicago-based site offers deals of up to 90% off, using their famous name to negotiate savings and fun on your behalf. Another popular site. Living Social allows you to share deals with your friends and find everything from new restaurants to facials. This one allows you to find deals in your area, send them to your phone and use them on the spot! No planning necessary. We all need apps to cater to our lives. This one does just that. It finds deals relevant to your lifestyle and sends them to you daily. What more can you ask for? They have it all--literally. 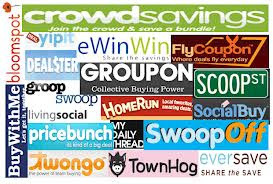 This site gathers deals from Groupon and Living Social, based on your preferences, and send them to you. This is just a sample. Certainly there's more.